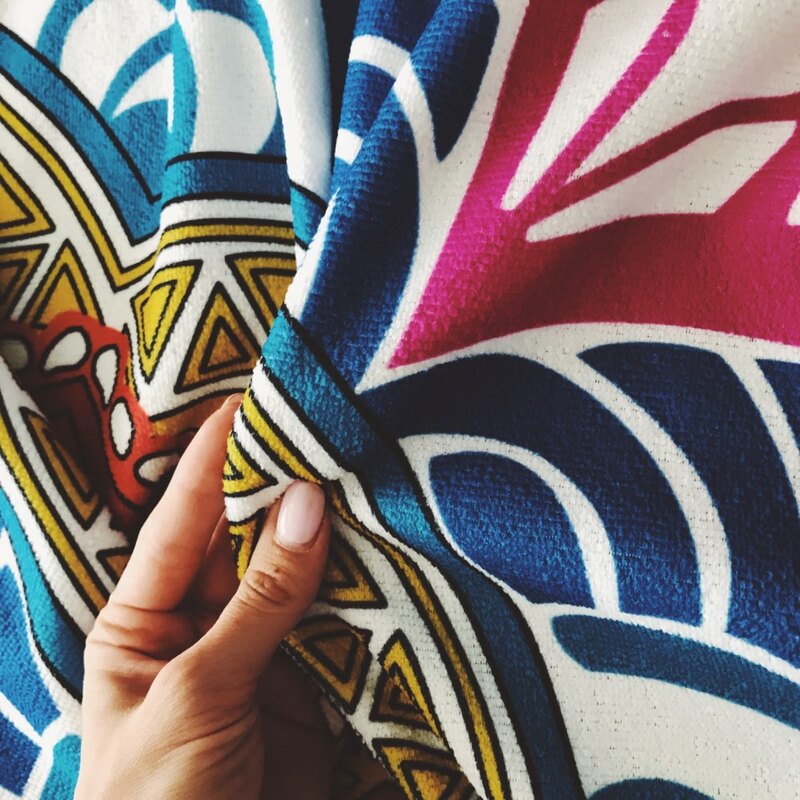 Eye catching, colorful and comfortable, this blanket is sure to be perfect for your daily activities, yoga or meditation practices. 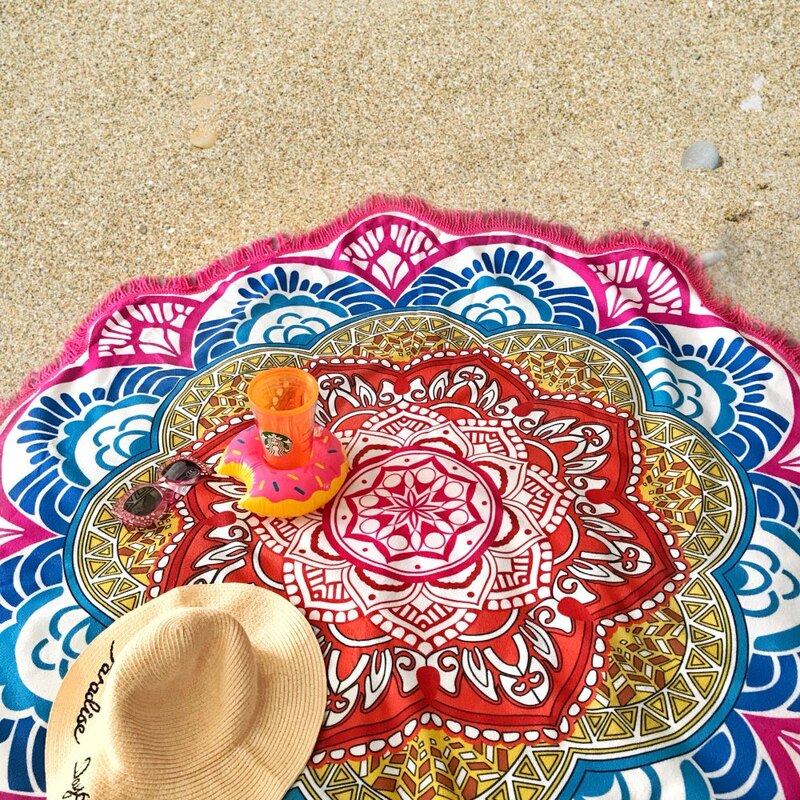 The Vagabond Magic Mandala Towel easily entrances anyone into daydreams with its mesmerizing colors and tranquil shapes. The mandala can be viewed as a mystical chart of the universe. 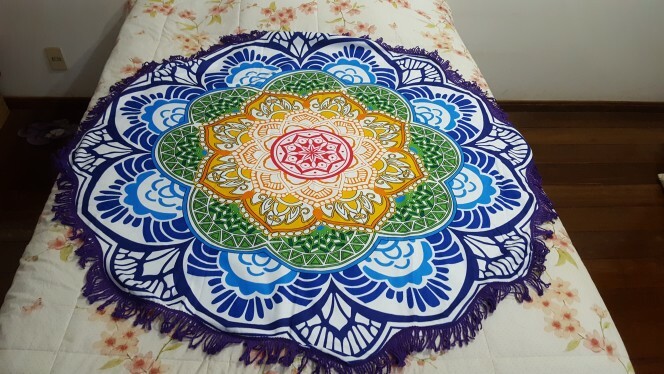 It is said that to dream of a mandala signifies one’s search for inner peace and unity. It is easy to be entranced by this towel’s intricate designs and striking shapes! With a full spectrum of vibrant colors and plush feel, this towel will have you daydreaming about the secrets of the universe! Can be used as a wall hanging tapestries, beach towel, yoga mat etc. Flash summer sale promo available for a limited time, so get yours today! Very beautiful, bright fabric printing. I use it almost everywhere. Love this blanket! bright, soft and comfortable. Thank you so much! Very happy! Fast arrival to Canada - 2 weeks!